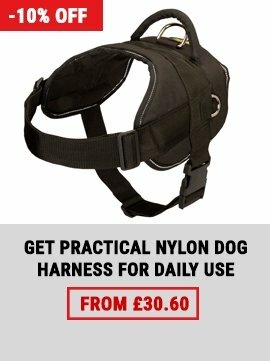 What dog collar is best for walking your Shar-Pei? A collar is a tool for dog control and an accessory to lay emphasis on its beauty, isn't it? Our designers made by hands exclusive collar for Shar-Pei. 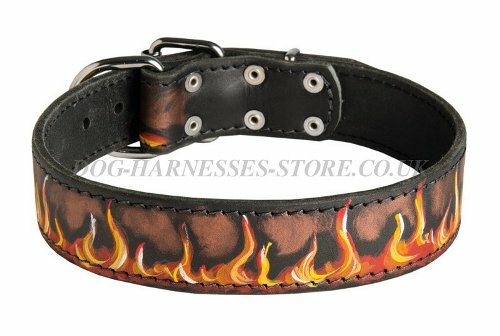 It is hand painted with flames to make your dog look gorgeously. The drawing won't fade or peel off with time. It is non-toxic and water-resistant. 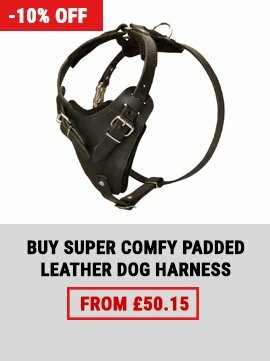 Genuine leather strap is durable and pleasant to touch. 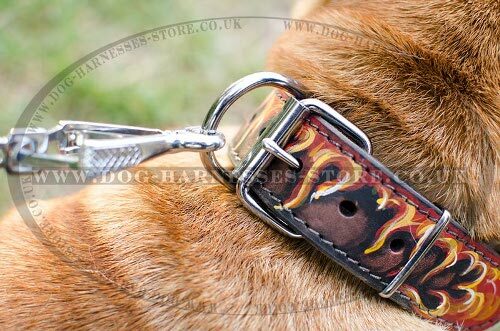 This Shar-Pei collar is the finest one to walk your dog with comfort and to show how much you love it! 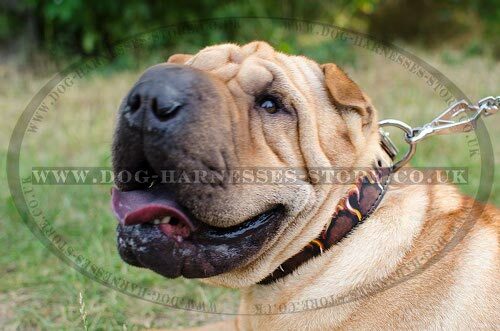 This Shar-Pei dog collar is well-oiled and rounded along the edges to make it safe for dog's skin and coat. 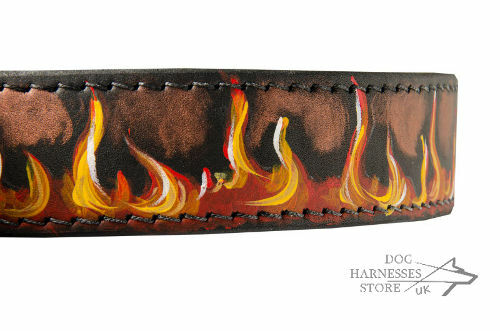 The collar is carefully stitched for better durability. Classic buckle makes the collar easy to put on and take off. 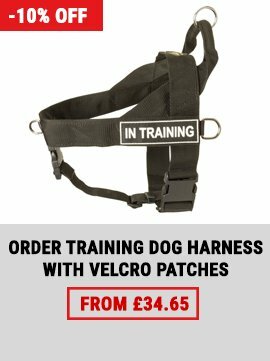 A leash is fastened to welded D-ring. Metal details are solid and resistant to rust. They are made of nickel-plated steel. 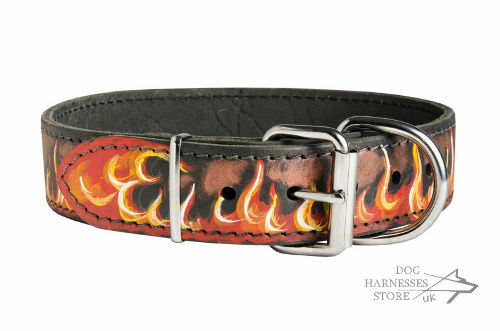 This collar is perfect for everyday outings with your Shar-Pei.